Will General Motors discontinue the Chevrolet Impala? 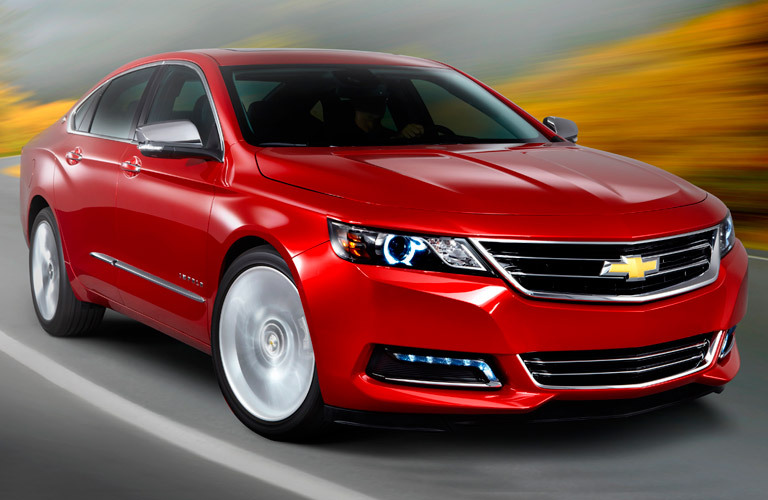 Home » Chevy » Will General Motors discontinue the Chevy Impala? Perhaps you’ve heard the recent rumors about General Motors discontinuing the Impala after all this time. How about it- are the rumors true? Is the modern Chevy Impala a good car? Chevy Impalas have long been known for being reliable, safe, and a great value. There’s a reason they were chosen for use as police cars. But that doesn’t mean they don’t rock our civilian world too. Aside from the aforementioned qualities, Chevy Impalas of the past decade have been uniformly comfortable, spacious, and practical, boasting a roomy interior and voluminous trunk. This makes them especially great for the vertically gifted. The nice thing about a large car is that it preserves a roomy interior and comfortable ride, while not being as bulky as an SUV or crossover. Features in Chevrolet Impala models vary, but even models from the start of this past decade can include great amenities like heated seats, remote start, satellite radio, Bluetooth, steering wheel controls, and more. They’re often available for excellent prices and are cheap to maintain. Where can I buy a used Chevy Impala? We have a great inventory of used Chevrolet Impala vehicles right here at our dealership in Longview TX. Feel free to come take a look, or schedule a test drive if you’d like to give them a spin. Most of our Impala models are from the vehicle’s ninth generation, which hold up admirably well in terms of interior space, highway gas mileage, and low prices. They also boast a smooth ride and strong powertrain. These were the models that made a statement of Detroit’s resurgence after the recession of the late 00’s. The 2014 Impala ranked #1 among Affordable Large Cars in U.S. News & World Report’s rankings for that year. Should I be worried about buying a vehicle that’s being discontinued? Don’t worry about this vehicle being a costly investment due to its being discontinued. Repair parts will still be available for the foreseeable future, as the discontinued vehicles are still part of a brand with an image to uphold. As long as there is a demand for Impala parts and service, GM and the aftermarket will meet it. This entry was posted on Wednesday, March 13th, 2019 at 6:21 pm	and is filed under Chevy. You can follow any responses to this entry through the RSS 2.0 feed. You can skip to the end and leave a response. Pinging is currently not allowed.